I have been reminded this past week that while life can be so short and unpredictable, it can also be amazingly enriching. PLW was saddened by the loss of a man who was an inspiration to him, and who possessed a talent that came straight from God. 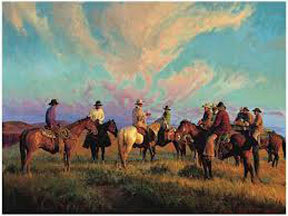 Western artist, Bill Owen, died unexpectedly on a historic Arizona ranch. I suspect that it was the perfect way for him to exit this world ... among the cowboy subjects that he painted with such respect and honor. Bill was one of those unparalleled men who possessed a talent that was both rare and remarkable, but who never assumed the arrogance or high and mighty attitude that often accompanies such blessings. He was a humble man; a man who cherished the American West and chose to dedicate his life to painting the modern cowboy. He achieved great success and notoriety, but always seemed embarrassed to be in the spotlight. Instead he quietly pursued his craft, offered sage advice to up-and-coming artists, and gave back to the lifestyle he cherished through his foundation that supported educational scholarships for ranch kids. Bill was passionate about his art, his causes and the American West. There was no sacrifice too great to "get it right." I guess you could say that the time for men like Bill Owen has come and gone; and that is a sad commentary on the future of this country. 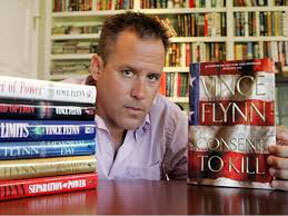 Last week also saw the loss of the talented and imaginative author, Vince Flynn. I've never met Mr. Flynn, but I know his immense love and regard for this nation; it was evident in every page of his novels. Through his character, Mitch Rapp, everyday Americans could revel in his victories over Middle Eastern terrorists. Mitch was no PC operative. He did whatever it took to protect the Homeland from the enemy. And while he may have operated outside the conventional anti-terrorist system, he was always guided by a strong sense of right and wrong; good and evil. I guess I enjoyed his books so much because Vince Flynn wrote the way most Americans think. He put his country first and focused on killing the bad guys. It's a story that is as old as time, but I, for one, have recognized that the fiction of Vince Flynn was, in many ways, more honest, truthful and reasonable, than what we see acted out by our elected officials. Mr. Flynn was only 47 when he succumbed to prostate cancer. His voice and his talent will be sorely missed. 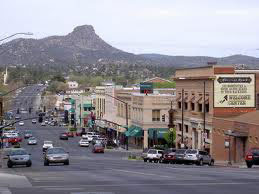 And as I write this post, one of my most beloved places in this country, Prescott, Arizona, is threatened with fiery flames. This is one of the last of the real Western towns. They have strived hard to maintain their Western roots and heritage; fighting the march of progress towards urbanization and contending for the preservation of our true Western culture. Friends are tweeting and emailing that they are trying to rescue and move horses, help their neighbors with livestock, and are packed and waiting for evacuation. You have to know and understand the Western mindset to appreciate what these folks are going through. They are practical, down-to-earth, and just a touch hardheaded. They are also matter-of-fact and sensible. Their horses take precedence over their possessions. They have all gathered a handful of personal belongings and leaving the rest behind. When I think of the private collections ... precious art, Indian artifacts, and historical relics that will be lost .... well, it makes me heartsick. But like so many times in the past, when hardship comes calling, the people of our American West don't waste time on tears and whining. And they never look back. They just pick up the pieces and stoically start anew. 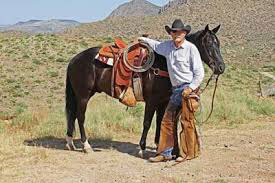 They are made of strong pioneer stock; their ancestors crossed the Southern plains and steep mountain ranges to settle in some of the most majestic valleys on God's green earth. Their values aren't centered around their "stuff"; they're survivors and they'll handle whatever life or the elements throws at them. I'm proud to know them and call them friends. So this past week, I've seen a lot of loss. But I've also been reminded of what is unique and special and distinctive about this wonderful country that I call my own. I count my blessings and thank God that I have been given the opportunity to know such humble and talented men; whether through personal contact or simply through their words. Heaven has called both a painter and a writer home. I can only imagine that the Creator is well-pleased with how Bill and Vince used the creative talents He gave them. And I am thankful that God has taken PLW and myself down a path that introduced us to the remarkable people of Prescott, Arizona. They inspire me while they continue to embody the American spirit. Yes, loss is a part of this life. But with that emptiness comes the understanding that I have been given the opportunity to witness and savor the presence of extraordinary people. Far from being sad, I will add their stories to my memory vault and put a checkmark in the plus column of my life experiences. 2 Corinthians 1:3-4 "Blessed be the God and Father of our Lord Jesus Christ, the Father of mercies and God of all comfort, who comforts us in all our tribulation, that we may be able to comfort those who are in any trouble, with the comfort with which we ourselves are comforted by God." I too have been a fan of both these men. They will be missed. Many times in my own remote community we have had to deal with fire. We do want it takes to save our animals first. Everyone pitches in to help. Looks like fire season is going to be a bad one. First Colorado and now Arizona. These people are in my prayers. This is a little off topic but my husband is going to be in Texas this week. He will be in the San Antonio area. While he's there he would like to check out some areas for possible relocation. Any suggestions would be appreciated. If your husband is going to be in San Antonio, I would recommend he check any real estate in the Kerrville/Boerne/Fredericksburg area, (that's west of San Antonio). That's beautiful country. There is also nice land around Castroville/Hondo/Bandera. All these areas are easily accessible by car from major highways, and I think he would enjoy seeing the countryside. Thanks Belle I'll let him know. Bill, RIP. Your sons & mine - Bill Owen 3rd & Sean Owen - miss you deeply. We had 20 years together as a young family, which included in the role of watching the amazing evolution of an artist, taught by a higher master. You humbly gave all credit to your Creator. I loved that about you. You strive-d for perfection & exceeded, reaching the divine with your creations. When did it happen? The merging of man & his art? I was blessed to be there to watch this incredible metamorphosis. You gave the world a piece of your soul with each painting, drawing, sculpture. What the world didn't know is that each piece hurt just a little when it was time to sign your name & call it finished. We shall dedicate each ocean sunset to you, taking a bit of comfort that our Lord, the Divine Master artist, is beside you now with a universal size canvas & eternal flow of paint. May God comfort all your families as only He can. What a beautiful memorial! Being married to an artist myself, I can personally identify with the connection between artist and Creator. To watch the talent flow from the brush is to witness our Lord's creativity through His created child. My husband, too, feels the pain of letting a piece of art go, because it is truly a connection between himself and God. And he truly admired Bill -- as an artist, and as a man. This world will be less kind and beautiful without him and his art. Thank you for sharing your unique perspective. God Bless You!